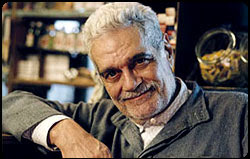 This is the second time I've heard about Omar Sharif punching out somebody who yanked his chain. Geez. He seemed like such a sweet man when I spoke with him three years ago. Who knew he was such a brawler?